Sandrine was born in London to a Chinese father and a French mother. At the age of five, she moved Toronto, Ontario, Canada, which has been her home ever since. She worked as a runway model in Paris before she became an actress. Holt debuted as an actress in 1991, appearing in Black Robe by Bruce Beresford. She's played characters of various ethnic origins. 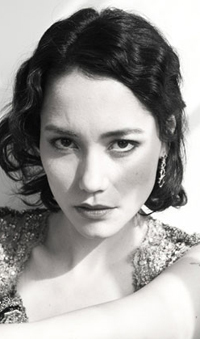 She starred as a Polynesian in Rapa Nui (1994); as Chinese in the telemovie and subsequent TV show Once a Thief (by John Woo, based on his Once a Thief Hong Kong movie); and as a Latino reporter in her most recent major film role in 2004's Resident Evil: Apocalypse. 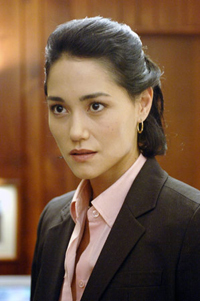 In 2006, she has a recurring role on 24 as Evelyn Martin, the aide to First Lady Martha Logan.